Most people don’t know William Shakespeare created more than 1,000 commonly used words and phrases or that he was a well-respected businessman, property owner, and actor. But for native Houstonian David Born, knowing the facts is all part of transforming into Shakespeare. Born, a professional stage and film actor, has played Shakespeare for the last 17 years as both a stage and character actor. A Houston Shakespeare Festival veteran, he has appeared in more than 12 of Shakespeare’s plays and more than 100 plays total. His credits also include more than 60 movies and TV shows, such as the just released The Highwaymen, Friday Night Lights Walker, Texas Ranger, Prison Break, Community, Constantine, Underground, and Texas Chainsaw 3D. Although many people think of acting as memorizing lines, Born often improvises his material. That ability has allowed him to play more dynamic roles, including Shakespeare during Precinct 4’s Shakespeare Festival. During this year’s festival, Born will roam the festival grounds in full Shakespearian attire, interacting with the public directly. Despite the challenge, Born said introducing a new generation to Shakespeare adds meaning to the role. Shakespeare fans can catch Born in action during Precinct 4’s Shakespeare Festival on Saturday, April 13, 1 p.m. to 7 p.m. at Burroughs Park. Attendees will be able to enjoy crafts, entertainers, face painting, games, and food trucks. Performances of Shakespeare’s Two Gentlemen of Verona take place rain or shine Friday, April 12, at 7:30 p.m.; Saturday, April 13, at 2 p.m. and 7:30 p.m.; and Sunday, April 14, at 2 p.m. Costumes are encouraged. Theater-style seating will be available under the covered pavilion at Burroughs Park on a first-come, first-served basis. Everyone is invited to bring their own refreshments or purchase items from the food trucks during the festival. 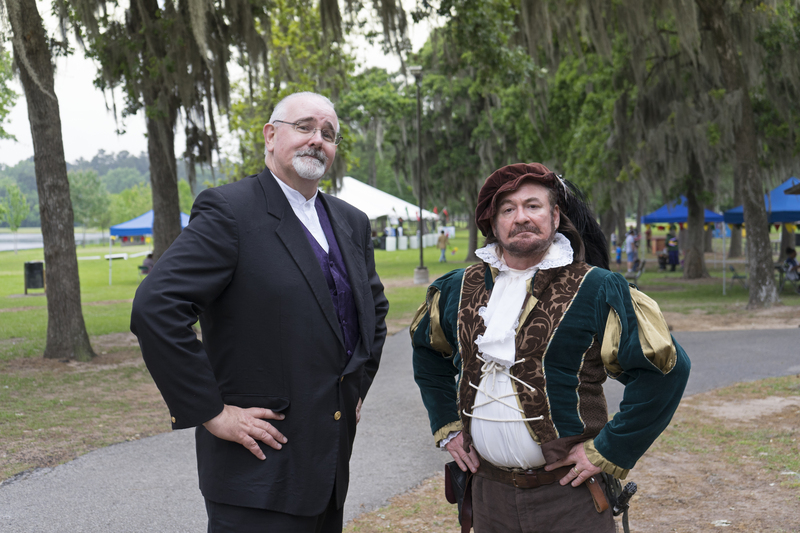 Established in 2013, Precinct 4’s Shakespeare in the Shade presentations are part of Commissioner R. Jack Cagle’s educational and recreational commitment to Harris County residents. Burroughs Park is located at located at 9738 Hufsmith Road in Tomball, 77375. There’s something special about the way Monte Parks retells historical events that brings the past to life. For more than 15 years, Parks has taught early Texas history, first as a programmer and tour guide at Jesse H. Jones Park & Nature Center and now as assistant superintendent for the Harris County Precinct 4 Parks Department. Although Parks has always loved history, he didn’t become an expert overnight. The process required years of dedicated independent study and an insatiable thirst for knowledge. “I read about 200 history books over the past 15 years. If I was going to teach Texas history, I needed to know more than the park visitors or students,” Parks says. He also started participating in historical re-enactments during festivals and field trips at Jones Park. As a re-enactor, Parks would outfit himself in authentic apparel and demonstrate the lifestyles of early Texans. Along the way, he picked up a few pioneer skills, such as woodworking and blacksmithing. A turning point in his career came when a group of senior adults touring the Redbud Hill Homestead at Jones Park asked him to speak at a meeting for the Daughters of the Republic of Texas. Soon, his reputation as a lively presenter led to regular requests from various groups and organizations, including a class at Lone Star College-Tomball. Today, his undeniable passion and refreshing approach to Texas history is present in every lecture, pontoon boat tour, and senior adult bus trip he leads. Parks currently oversees Precinct 4’s Trails As Parks Division, which is a mobile team that works to connect people with nature through outdoor recreation, ecotourism, and environmental education. You can also find him sharing presentations at Precinct 4’s community centers or at one of five Lone Star College campuses in between tours with senior adults to historical landmarks. “There is so much to discover. I try to learn something new every day,” Parks says. When Harris County Precinct 4 Arborist Laura Carlton plants a tree, she not only considers its future but also its history. With Texas A&M’s Famous Trees of Texas as her guide, Carlton travels the state collecting acorns, seeds, and cuttings from trees present during significant historical events, such as the Galveston Storm of 1900 or the historic retreat of General Sam Houston. Her goal? To keep the legacy of these famous trees alive in Precinct 4 parks. Plans for a historic tree program began in 2015 when Commissioner R. Jack Cagle received a historic tree donation from the Lady Bird Johnson Wildflower Center. Since then, Precinct 4’s collection has grown to 30 of the 51 historic trees listed in the Famous Trees of Texas guidebook. 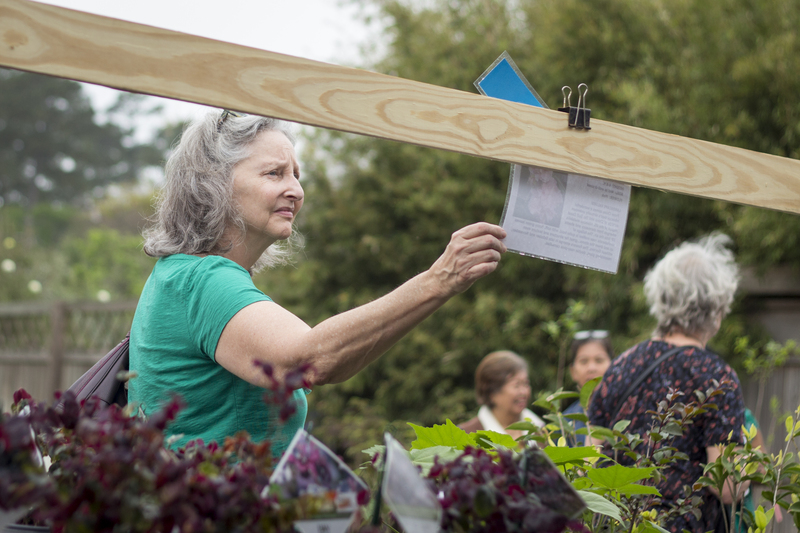 As the need for trees in Precinct 4 greenspaces grew, Commissioner Cagle expanded the historic tree program to include fruit and nut trees, mass tree plantings, trail beautification, volunteer opportunities, and educational events. With the additions, the program needed a new name. In 2018, Precinct 4’s Legacy Trees Project was officially born. “Legacy trees are not just historic trees. They are also heirloom fruit and nut trees that will one day provide nourishment for residents and wildlife along the trails,” says Carlton. Today, more than 1,700 legacy trees grow along the Spring Creek and Cypress Creek greenways. Want to get involved? Become a volunteer! 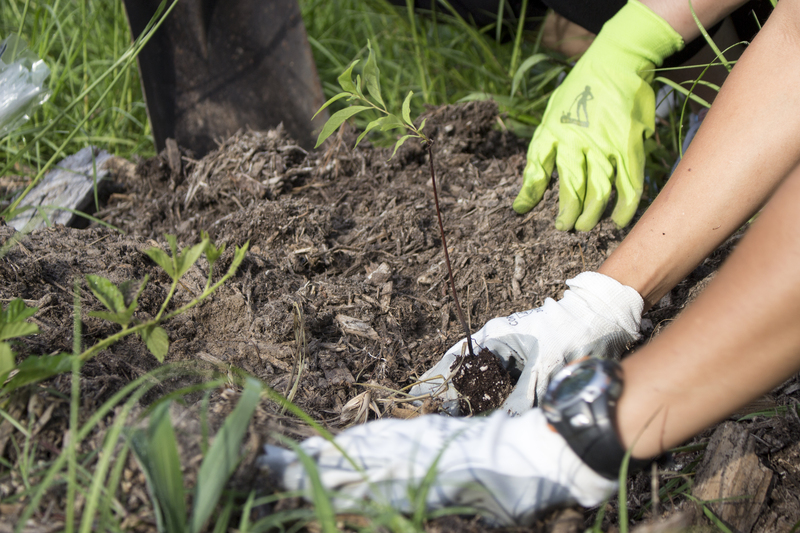 Precinct 4’s Legacy Trees Project offers opportunities to plant trees along the greenways. Precinct 4 residents can also volunteer to care for native edibles or historic trees. For more information, call 281-353-8100 or email Legacy Trees at legacytrees@hcp4.net. Shopping for plants and flowers can be overwhelming and exhausting without taking a few simple steps to prepare. First, spend some time in your yard making notes about the location, lighting, and what will complement your home best. Figure out where you want to add some color and texture. Be sure to consider your existing foundation shrubs and trees. Pay attention to the sunlight pattern in the area to narrow your focus for the plants you need to purchase. Think about the color and exterior of your home to enhance the curb appeal. If you have a light brick or paint, consider dark, vibrant flowers that will bring contrast to your landscape. If you have a dark exterior, perhaps try pastels or even white flowers to pop against the soil or mulch. Bring your notes with you while shopping to stay focused and allow for a more enjoyable experience while exploring the many plant options. Avoid spending time looking at plants that won’t work for you. For example, if you have zero shade in your backyard, concentrate on the numerous sun-loving options for the best results. Be sure to note the full growth potential of any plants you select to ensure there’s plenty of room in your landscape. Then, follow this concept: thrillers, fillers, and spillers! Thrillers are the tallest and showiest flowers that should go in back of your flower bed. Then, choose fillers that will grow shorter than your thrillers to add bright, fun colors to your landscape. You can select a few varieties of fillers for even more diversity. And finally, choose spillers (plants that mound or stay small) to go in the front along the edge of your flower bed or container. The most important part of shopping for plants is to have fun! Gardening is all about trying new plants and experimenting with different gardening practices to enjoy the most success.